In the Figo, Ford has found real success, crossing 2 lakh units sold in August. Priced in Rs. 3.9-6 lakh range, the feature-rich, spacious hatchback provides excellent value for money, with plenty of safety equipment and low running costs. 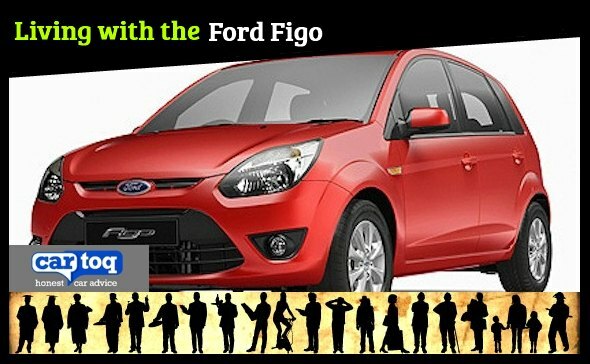 In CarToq.com reviews, Ford Figo owners rated the car highly, but also spoke of some common problems with it. The car’s music system and air conditioning won high praise from almost all owners. “The Figo’s music system is the best sounding system in small hatchbacks,” says Gaganpreet Singh Bhatt. Other owners have their own favorite features: “The best features are Bluetooth connectivity and electronically adjustable mirrors,” says Pankaj Vinayak, while Gaganpreet liked the height adjustable seats and automatic hazard warning system. But Ford also seems to have missed out some very basic items. Nearly every reviewer complains that the Figo does not have rear power windows, even in the top-end variant. Some also complained that the rear window of their car does not roll down completely. Individual owners point out other features they would have liked to see: rear head rests, ashtrays, cupholders and steering-mounted controls. In a CarToq poll, the Figo was voted the best handling diesel hatchback under Rs. 5 lakh. Most owners confirm that view. But Ravi also feels his car has a hard clutch and a heavy steering, and a noisy engine. Some owners feel the car is underpowered. So what inside advice do the owners have for prospective Figo buyers? “I would suggest one should go for diesel variant which I later realized after buying Figo petrol,” says Thomas.